Ultra long wavy wig with realistic skin part. 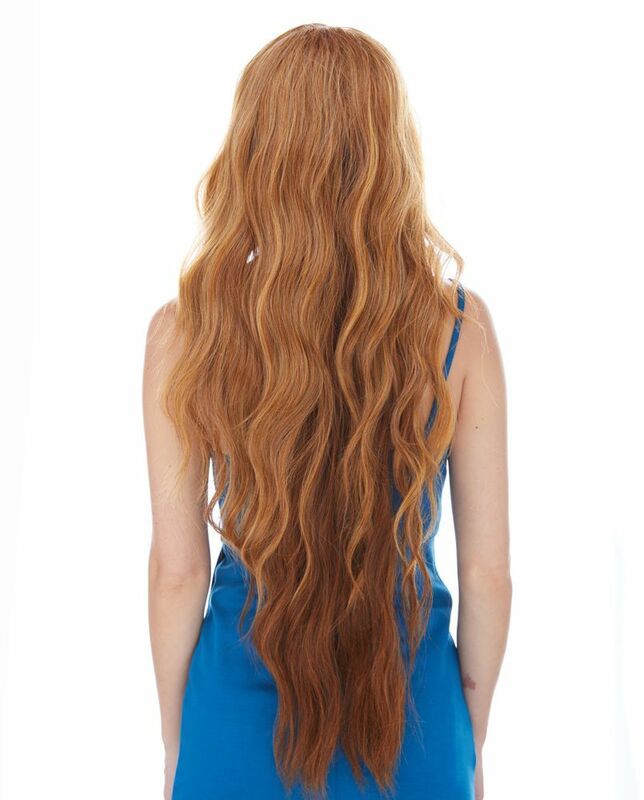 Slightly wavy, lustrous strands in our silky, touchable synthetic fibers cascade down all the way to 30-32" length. Premium quality adult size wig. Model is wearing this wig in ombre blonde&auburn crown/auburn&brown tips (F2014).